Catie Ingrilli is swarmed by Maryland defenders. The junior midfielder was unable to get things going on offense, only taking one shot in the loss. Going into halftime, Northwestern was tied 6-6 with the No. 1 team in the country. But a Wildcats upset bid seemed too good to be true as their quest for a championship died in the second half. After finishing the first half on a 5-2 run, No. 3 seed NU (10-9, 3-2 Big Ten) couldn’t hold on to give No. 1 Maryland (19-0, 5-0) its first loss in over a year. The Big Ten Tournament championship match was a game of runs, and the Terrapins ultimately got the better of the Cats. Despite scoring the first goal of the game, NU then immediately conceded 4 straight goals to Maryland, digging the team into what seemed to be an insurmountable hole. But junior attacker Christina Esposito took advantage of her opponent’s defensive tactics to bring the team back into the game. Following the Terrapins’ 4-goal run, Esposito and the Cats answered back with a 4 unanswered goals of their own, reclaiming the lead for NU. But the Cats didn’t have an answer for Maryland in the second half. Coach Kelly Amonte Hiller said the game was filled with swings, but the difference was that the Terrapins were able to make the most of their possessions in the second half. Maryland opened up the second half with a devastating 6-1 run from which NU could not claw its way back. The Cats struggled in transition and had difficulty riding on the Terrapins’ clears. Maryland scored 6 goals in a span of 22 minutes and 41 seconds, while NU went 26 minutes and 22 seconds between goals in the second half. The Cats couldn’t capitalize on their shots within the 8-meter-arc, which proved to be the difference. NU outshot Maryland 26-19 in the game but the Cats were much less efficient, dooming the team in the conference title game. 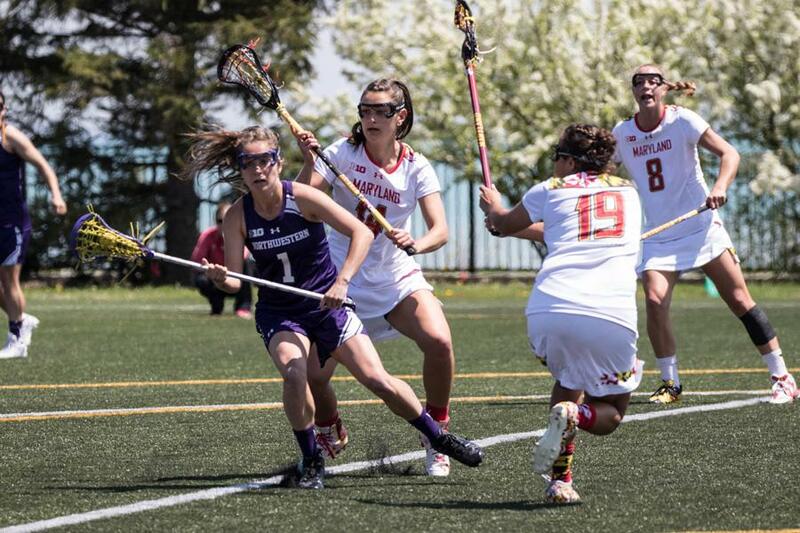 NU finished with nearly identical statistics as the Terrapins, and even won the draw control battle, but the team’s transition defense and missed opportunities in the second half proved detrimental. Senior attacker Kaleigh Craig, who finished the game with 2 goals, said lacrosse is a game of scoring-swings and the team can’t be phased by them going forward.